Some of the projects that I take on are strictly for my own amusement. 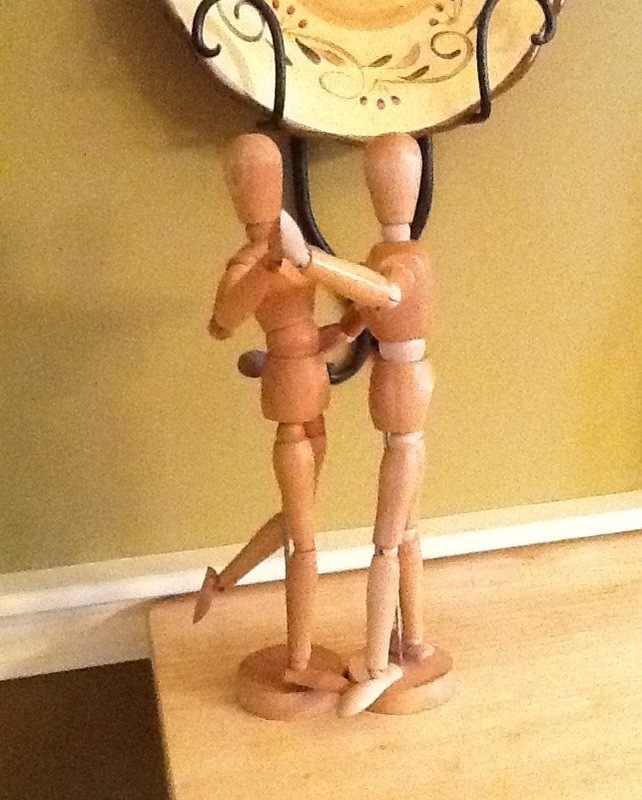 They don’t serve any real purpose, but I like to have something to do while I watch TV, and am easily amused. 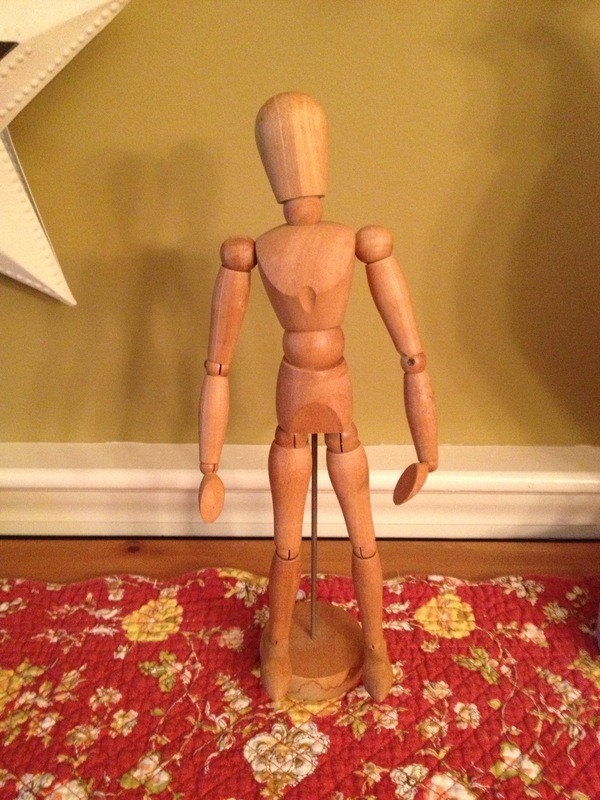 I’m not an artist, but I saw it at a yard sale and figured I could give him (or her) a good home. At Halloween, I thought that I would dress him up in costume. 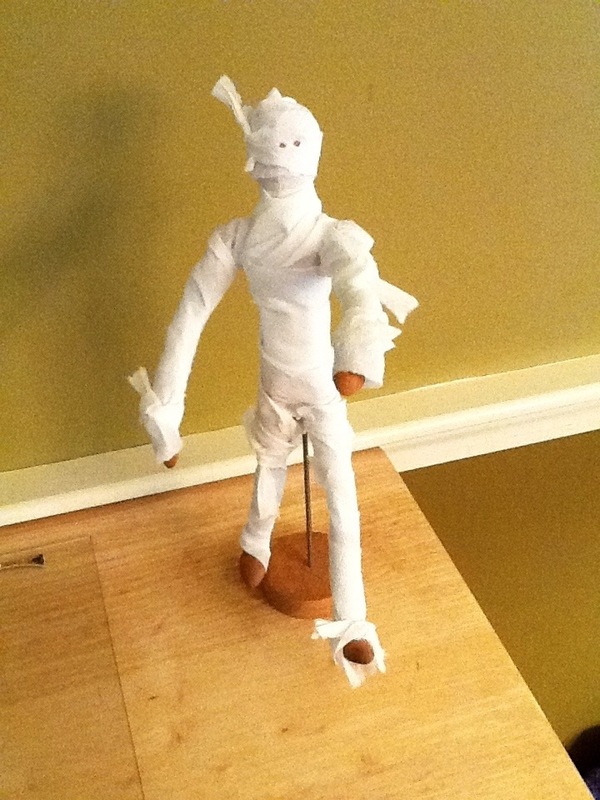 This I made with toilet paper and a bit of scotch tape. 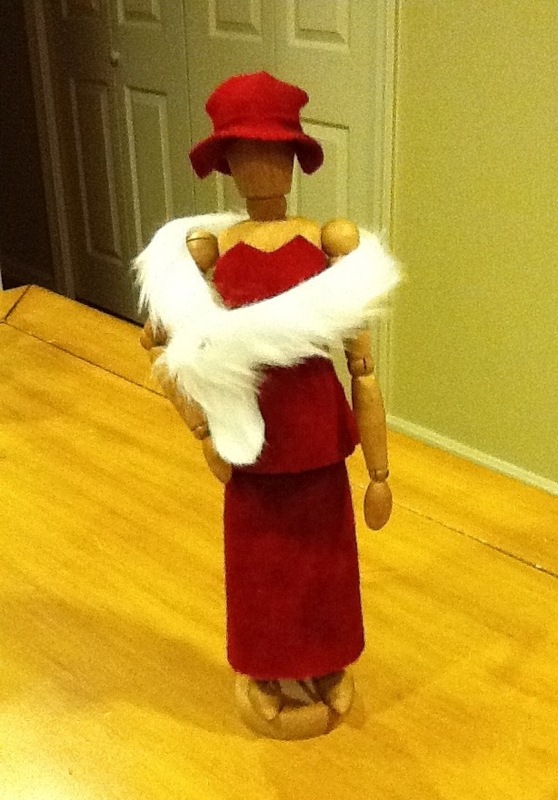 I liked it so much that I dressed “her” up at Christmastime. I sewed and pinned this one together using wool felt and fur trim I had in my crafts closet. Although the photo is kinda crappy, you can see how I fastened the stole with a fake diamond stud. I had this out on my buffet when I hosted some of my old college friends for dinner (Westfield State College, class of 1989) when my old roommate Lori comment on it. She then told me that she had a mannequin just like mine in her trunk. Seriously, and what are the chances? She had gotten it from a coworker and, since she wasn’t using it, offered it to me. 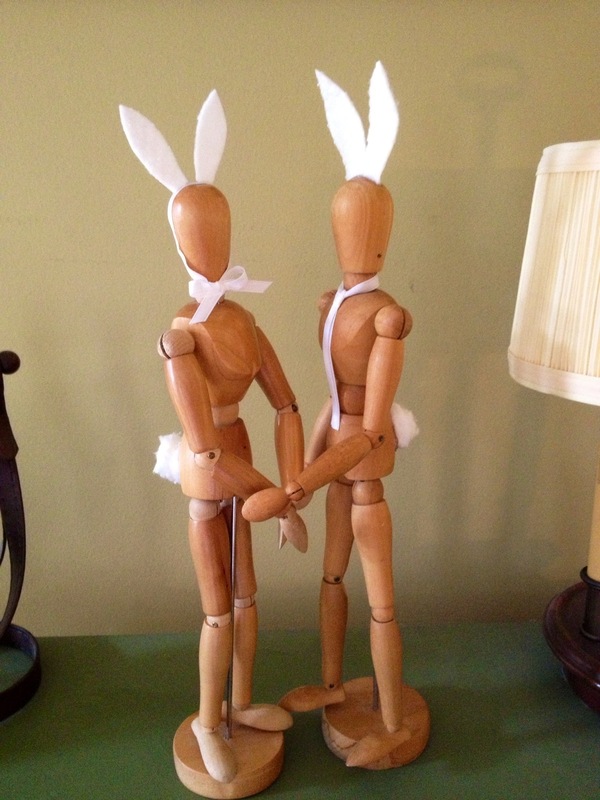 So now our one wooden man was a wooden couple. 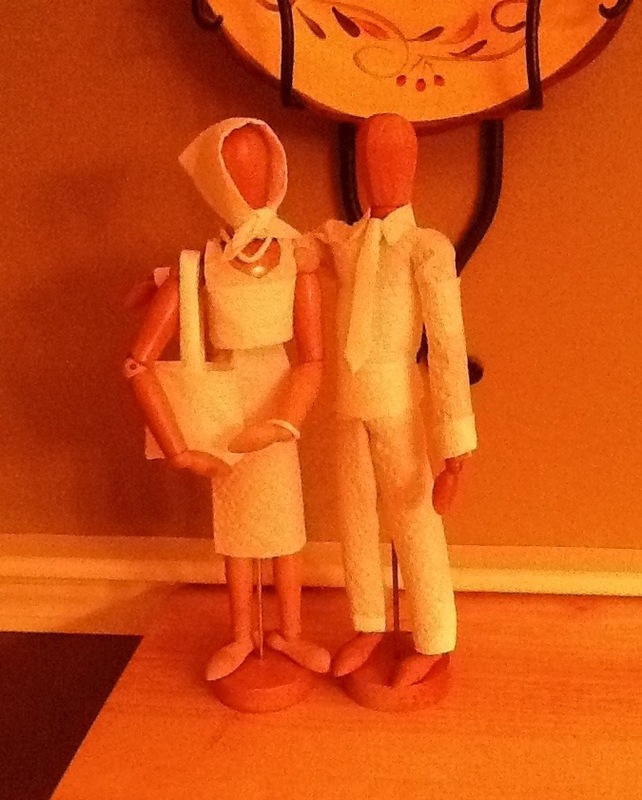 Shortly thereafter, I fashioned these outfits out of paper towels. Don’t they make a lovely couple? I like to think that they’re on their way to a summer Holiday here. 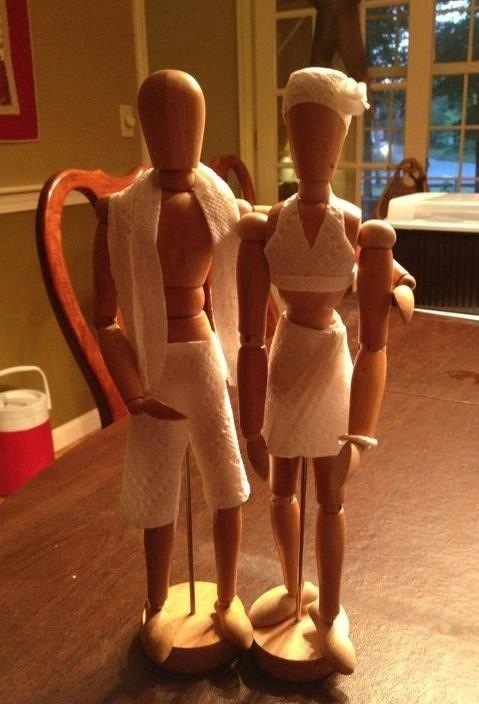 I enjoy using the paper towels because they're inexpensive, easy to work with and can be held together with scotch tape. I know I'll continue costuming these guys in the future, so stay tuned to see what's next! I'll add photos as I create them. Posted in Dress Up, Holidays, Toys. Bookmark the permalink.